Makalu Base Camp Trek is one of the most popular trekking destinations, lies in the area of Makalu Barun National Park and conservation area, in the heart of eastern Nepal. Makalu Base Camp trek allows you to explore Makalu Barun National Park, situated in Solukhumbu and Sankhuwasabha district in Nepal. It is one of the exceptional trails to the unexplored area which offers you an excellent opportunity to explore high altitude, beautiful terrains with Makalu Barun National Park. 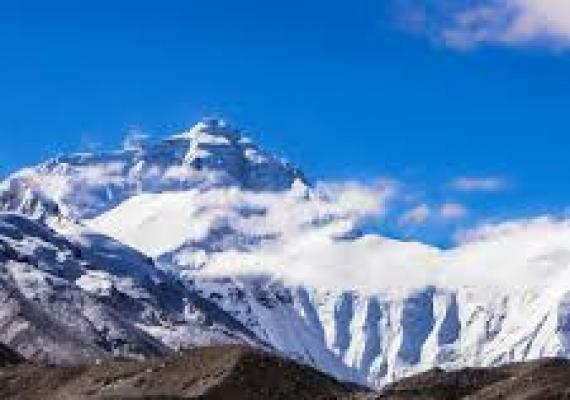 Makalu Base Camp is the world fifth highest peak in Nepal. 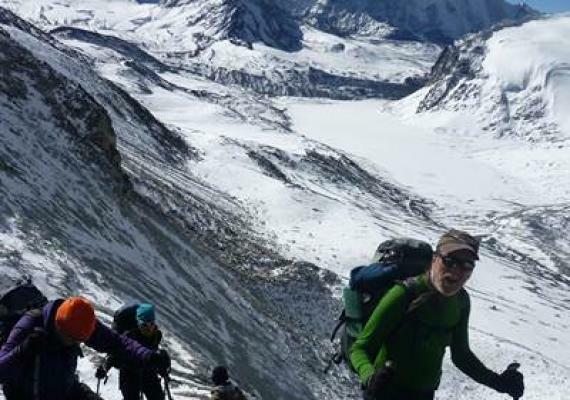 This adventurous trek is quite challenging as well as regarded as an outstanding trek to the most remote and unfrequented trekking areas of Nepal. This trek displays impressive immaculate woods, snow-capped meadows, and imperiled untamed life in Nepal during your trail which make your trek one of the best treks in your life. Not only this, it also lets you encounter with the native people of the mountains and observe their unique culture and lifestyle. Makalu Barun National Park is the major attraction of this trek which offers you to visit natural paradise on the earth that is filled with beautiful mountains, a wide variety of flora and fauna, pristine forest and warm-hearted native people with rich and varied customs. The way to the Makalu Base Camp trek, let you encounter a wide assorted quality of biological communities, distinctive ethnic community and impressive view of stunning mountains such as; Mt. Everest, Makalu, Lhotse, Chhamlang and many more. Beside this, you will also get chances to visit The Makalu Barun National Park and encounter with remote wilderness and habitat wildlife. 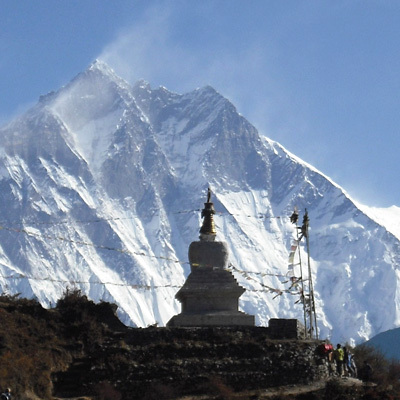 Trekking to Makalu Base Camp is an extraordinary experience for the nature lovers. Makalu Base Camp was restricted area in the past but now it is officially open for trekking which also extent five major ecological zones, they are; the Lush, tropical Arun Valley, dense forests of rhododendron and fir and alpine meadows. Day 22: Rest in Kathmandu and enjoy farewell dinner. UNESCO World Heritage Sites: Hanuman Dhoka Durbar Square, the sacred Hindu Temple of Pashupatinath, Monkey Temple (Swyambhunath) and Bouddhanath Stupa. Nepal's Most Remote and Unspoiled Trekking Destination. Lush, Tropical Arun Valley, Dense Forests of Rhododendron and Fir and Alpine Meadows. Stunning Mountains Such as; Mt. Everest, Makalu, Lhotse, Chhamlang and Many More. Makalu Barun National Park and Conservation Area. Our representative will pick up you at the Tribhuvan International Airport in Kathmandu and transfer you to your hotel where you can rest and be fresh. In the evening, our representative will explain the further trek. Overnight at hotel in Kathmandu. After early breakfast, we will manage you to visit major world heritage sites in Kathmandu such as; Hanuman Dhoka Durbar Square, the sacred Hindu Temple of Pashupatinath, Monkey Temple (Swyambhunath) and Bouddhanath Stupa. In the evening, you will prepare all the essential factors needed for the further trek. Overnight at hotel in Kathmandu. After breakfast, in the morning you can take a domestic flight to Tumlingtar which offers you aerial views of breathtaking snow-capped Mountains such as; Ganesh Himal to Mt. Everest, Makalu, and Mt. Kanchenjunga. After 40 minutes scenic flight from Kathmandu, we will arrive at Tumlingtar and we will drive to Chichira, a small Gurung village. Overnight at Chichila. Today, after the early breakfast we start our day with an early morning hike towards Num Valley. A quiet and slow-paced walk through the beautiful and picturesque villages and lush mountain forests will take us to the beautiful Num village. We can explore this beautiful village and stay overnight over there. Today, we climb down the descent through forests and terraced farms which takes us to Barun River, nearly 800 meters below. We cross the river and follow a similarly steep ascent up the opposite side once again. Now, we enter into the Makalu Barun National Park and get the permits registered at the checkpoint. We stay at the camp overnight on the top of Seduwa village. After breakfast, we take a short and pleasant walk about 3-4 hours to Tashi Gaun which takes you to small villages. After we cross the hillside through quiet villages, we reach the exotic village of Tashi Gaun. After breakfast, we leave the human settlement for our destination. This will be a bit of a tough day as we have to walk on a steep trail in higher elevations. We walk through the refreshing, beautiful shade of the rhododendron oak forest, then leaving the dense forest. The trail of Kharka is steeper. This finally follows a series of rough stone stairs and small lakes ascending to the top of the ridge. From here it’s a short distance towards Khongma Danda. The free day will allow some substantially rest before we take crossing of the Shipton La the following day. For the individuals who wish to investigate the close-by encompassing can stroll around the region. Overnight in home-stay/hold up. After breakfast, we climb towards the peak of the Shipton La (pass) which takes a few hours to reach. After the lake Kalo Pokhari (3930m), disregard the Keke La at 4,170m. We can see the beautiful views of many mountains. After crossing the Keke La Pass, we head to the beautiful valley to Dobato. Today, after breakfast, we head toward Yangle Kharka from Dobato through rhododendron forest which leads to the Barun River and the upper reaches of the valley. The first two hours of this trekking trail are steep and arduous, so we have to be very careful. Then after some pleasant and slow walk, we finally arrive at Yangri Kharka located at the base of the valley. Today, we pass through yak pastures, boulder fields and lush forests following a moderate walk in the valley. We limit our rate of ascent to ensure that our body has the necessary time to acclimatize because of the high altitude. Today is a relatively short trekking day, we make it to the Base Camp. 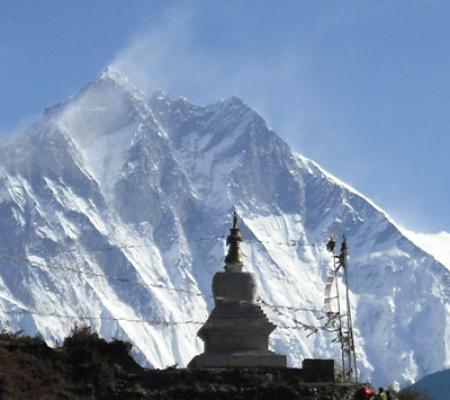 Today trek will offer stunning views of its south face, including Baruntse, Everest, and Lhotse. The trial surrounds flat with icy glaciers and snow-clad mountains us. The Makalu Base Camp is a rocky, barren place with the large Barun Glacier beyond it. From here we can see the glorious south face of Makalu and the complete scene of Everest and Lhotse. From Makalu Base camp we climb down and take our view of Makalu before a turn on our way back to Yangri Kharka. We walk across Langmale Kharka, Shersong, Merek and finally reach Yangri Kharka. Today we descend from Yangri Kharka to Dobato through rock falls, green forests and the valley to reach the village of Dobate. We walk alongside the Barun River for the most part of the trail. Today, we begin our trek with a steep climb from Dobato to Mumbuk and then continue through the lush forest of rhododendron and firs. We then cross Keke La, Tutu La (Shipton’s Pass) and karma La to reach Khongma Danda. Today, we walk along the hillside with frequent long and steep descent, cutting through the hillsides. Then enters deep into the thick forests and finally making it to the indigenous Sherpa village of Tashigaon. Today, we retrace our steps as we leave the Makalu Barun National Park behind and climb down to the Barun River. We then cross the hillside, river and walking through the hillside, we come across villages and settlements as we move further down finally stopping at Seduwa again. Today, after breakfast, we leave Seduwa behind and trek through lush forests towards Num village. The trail goes up and down and through lush forests and Sherpa villages as we move downwards. After breakfast, we retrace our step through the Chihira from where we can view the glorious glimpse of Mt. Makalu for the last time. The final stop of this glorious trek is Tumlingtar. Today, early in the morning after breakfast, we fly back to Kathmandu after our long trek in the mountains. We take a rest day off in the hotel. In the evening, we celebrate our successful journey to the Makalu Base Camp. Day 22 : Rest in Kathmandu and enjoy farewell dinner. You would surely like to see as much of Kathmandu as possible. After breakfast, you will leave for a whole day visiting around Kathmandu valley. You can visit the holy Pashupatinath Temple and Swyambhunath, incredibly old and essential enlisted in UNESCO World Heritage Sites. In the evening, you can also enjoy farewell dinner. The tour comes to an end. A representative will help you with your final departure. 	Air Fare from Kathmandu - Tumlingtar; and Tumlingtar - Kathmandu. Drive from Tumlingtar to Chichila. 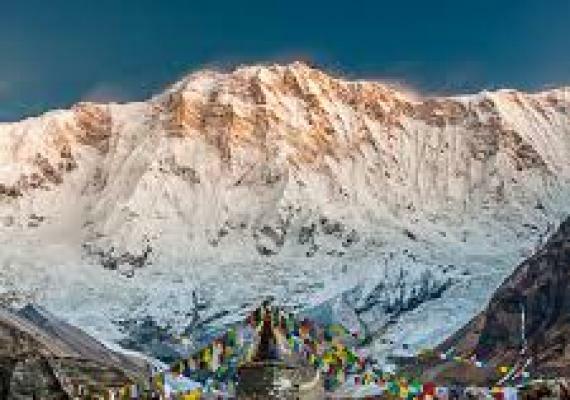 Special permit for Makalu Trek.